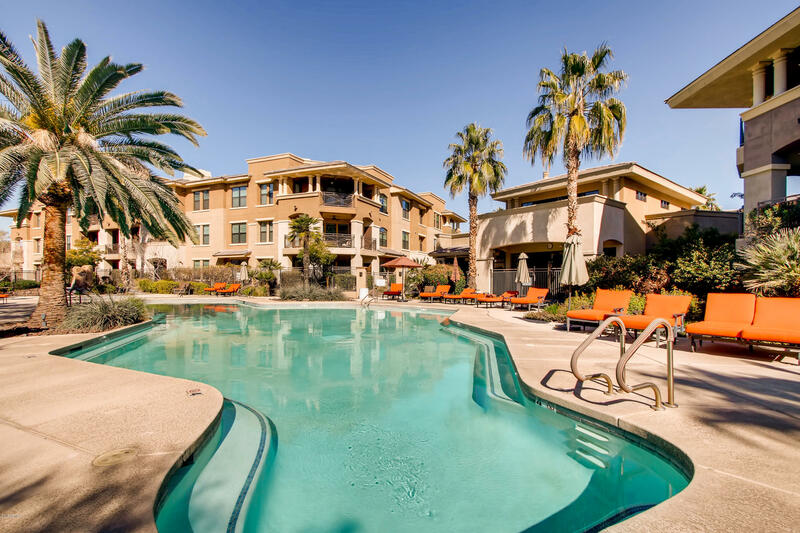 All CORRIENTE CONDOMINIUMS homes currently listed for sale in Scottsdale as of 04/25/2019 are shown below. You can change the search criteria at any time by pressing the 'Change Search' button below. "*****THIS LUXURY TWO BEDROOM PLUS STUDY HAS TONS OF UPGRADES! *****GORGEOUS VIEWS OF SILVERADO GOLF COURSE AND MOUNTAIN VIEWS!! *****ALL BEAUTIFUL APPLIANCES STAY *****ELEVATOR, 2 UNDERGROUND PARKING SPACES *****CLUBHOUSE ACROSS THE WAY WITH FITNESS AND RESORT STYLE POOL AND SPA. *****GATED COMMUNITY*****"
"PRIME LOCATION IN THE HIGHLY SOUGHT AFTER GATED COMMUNITY OF CORRIENTE. 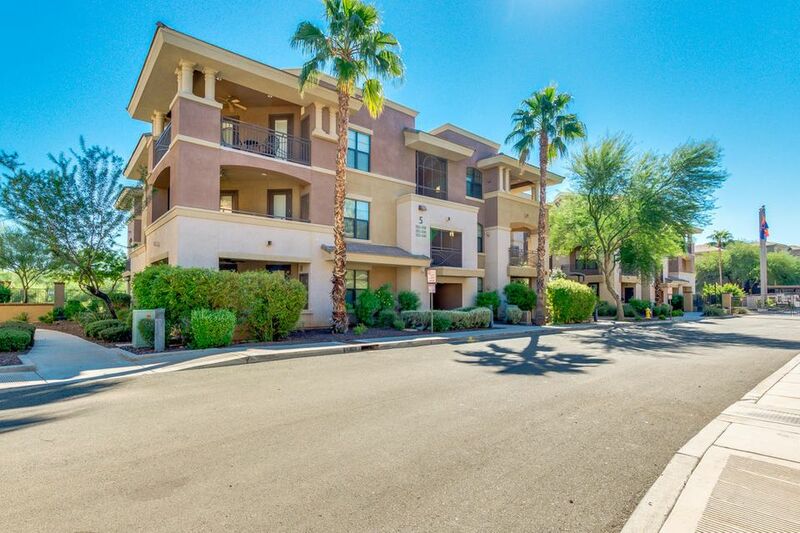 2 BEDROOM, 2 BATH UNIT THAT FACES GREEN BELT ON THE 1ST FLOOR W/ VIEWS OF CAMELBACK MOUNTAIN, GOLF COURSE & ACCESS TO WALK/BIKE PATH. 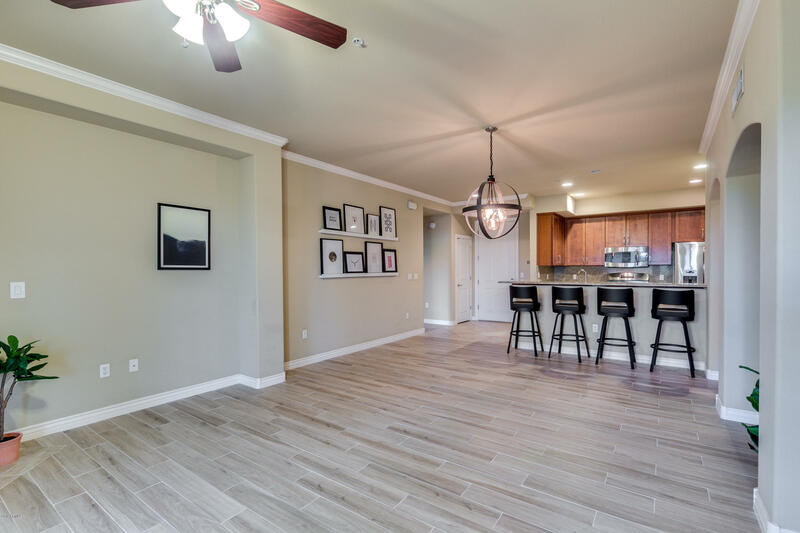 10' CEILINGS, PORCELAIN WOOD TILE FLOORING THROUGHOUT. SPLIT FLOOR PLAN. KITCHEN OPEN TO FAMILY ROOM, GAS COOK-TOP, GRANITE COUNTERS. STAINLESS STEEL APPLIANCES, WASHER/DRYER & TV'S INCLUDED, SPACIOUS MASTER SUITE W/ WALK-IN CLOSET. 2 RESERVED PARKING SPACES, HOA FEES INCLUDE DIRECT TV,INTERN"
"This is the one you have been looking for!! Large two bedroom plus study luxury first floor condominiium. Open Great Room floor plan with Plantation Shutters throughout. Two way gas FP in Great Room & Study. Open kitchen with SS appliances featuring a gas range! Separate Laundry room off of kitchen. Updated guest shower. Designer tile floors in Great Room, Study, Kitchen and Baths. Large corner private patio. Gated Community with elevator to 2 underground spaces. Furniture available separat"
"Come see this charming condo located in the heart of Scottsdale in the luxury community of Corriente. 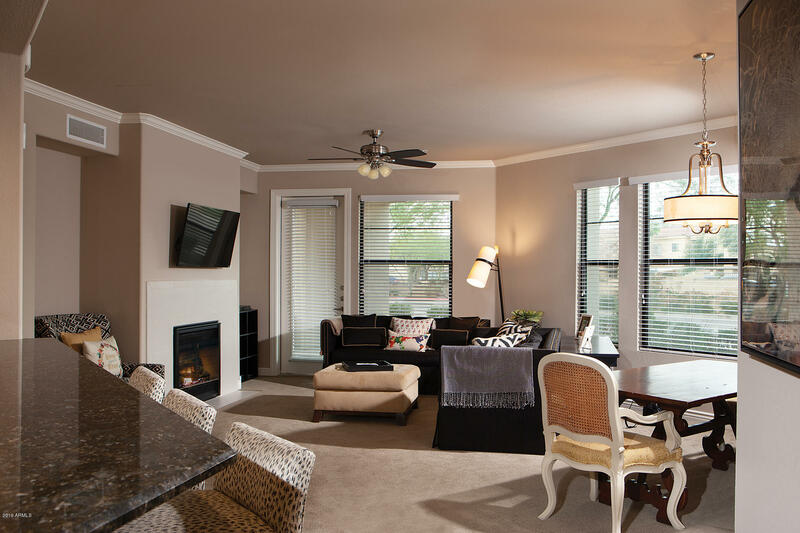 This 2-bedroom, 2-bathroom unit is on the first floor with spacious indoor and outdoor living areas. Some of the features include granite counter tops, stainless steel appliances and a gas stove top. This corner-unit was a model for the development kept in pristine condition. With spacious rooms, full walk in laundry and 2 parking spots in tandem in a private garage you do not want to miss this "